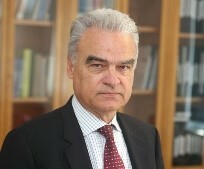 Professor John Golias was appointed Minister for Reconstruction of Production Environment and Energy at the new transitional Government of Greece. It is the first time that a Transportation Engineer as well as a Faculty Member of the NTUA Department of Transportation Planning is appointed Minister at the Greek Government. Professor John Golias is the Director of Traffic Engineering Laboratory of the Department of Transportation Planning and Engineering of NTUA and Rector of NTUA. 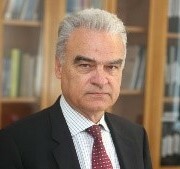 He has been involved in all areas of transportation planning and engineering sector for more than 35 years through numerous research projects, engineering studies and committees in Greece and abroad and he is the author of a great number of published scientific papers, cited widely worldwide. He served also as Secretary General of the Ministry of Transport during the Athens 2004 Olympic Games and Chairman of the Hellenic Institute of Transportation Engineers.